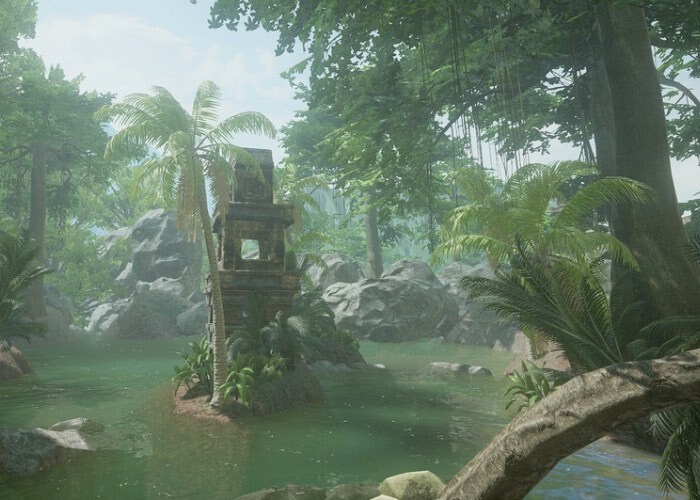 Koriel Kruer co-founder and developer at White Lotus Interactive has taken to the PlayStation blog to reveal more about the new upcoming game Xing The Land Beyond that will be launching on Sony’s PlayStation 4 sometime during 2016. As well as revealing new details about the upcoming puzzler game, the development team has also released an ‘Environment Trailer’ showing you what you can expect the graphics to look like, as well as a little about the gameplay on Sony’s PS4. Imagine walking up to a gravestone, reading the inscription, and then being transported through space and time to where a defining moment of that person’s life took place. The story is told through the environments you explore, the mysterious messages you encounter, and scattered poetry spoken in the voices of those long past. Puzzle games we admire like Portal and Myst are a large part of our design backbone, along with adventure games like Journey and the Zelda series. We use these games and many more as building blocks for our own ideas to grow. For those of you who have been following our progress over the past three years, and those who just found out about us today, we have an exciting announcement! PlayStation has quietly been there for us dating back to our first year of development — and now we can proudly (and finally) say that Xing: The Land Beyond will be coming to PS4 in 2016! For more information on the new Xing The Land Beyond puzzler game jump over to the PS Blog website for details via the link below.